While it isn't directly connected to the comic I did want to post some of the work I've been doing a a texture back for Minecraft. What is Minecraft you ask? Its a computer game where you can build... well just about anything. And my texture pack change the textures the game uses. 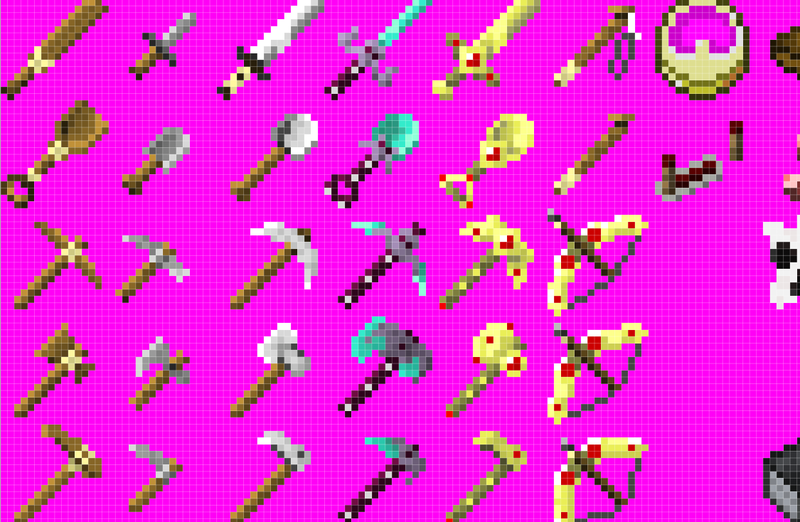 So far I've done all of the weapons a tool and I'm busy working on food and other miscellaneous items. Here are some of the items I've created so far. There is still a lot of work to be done here. Tweaks and changes to be made. If this peaks any interest I'll continue to post updates about my texture pack. I will be posting up images of the comic as it progresses to so remember to keep checking back! If you have a questions or comments please feel free to leave post them below. And as always Thanks for your time! I kind of halted work in the texture pack but... If there's is interest I don't mind putting more work back into it. Have you gotten the latest version of the pack? I've got the version from PMC (http://www.planetminecraft.com/texture_pack/craft-1088598/), is that the most updated version? 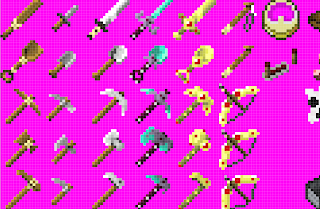 Also...do you have any plans to make this pack in a higher resolution, say, 32x32 or 64x64? Yes that is the most updated version. I definitely won't be doing a higher res-version, at least not any time soon, I just don't have the time to right now. Ok, that's cool. I can totally understand having too much on your plate. Did you hand create the different icons? Also...on a completely unrelated note...I'm looking for an artist to do some concept art for a project I'm working on...what would you charge for a fantasy type pic? I'm looking for something small to mid size (anywhere from 300x100px to 1000x300px), it's for a wiki description of a goblin race.